Another legendary episode from Six Flying Dragons. I can’t describe how much in awe I am with this episode. The fight between Bang Ji (played by Byun Yo Han) and Cheok Sa Gwang (played by Han Ye Ri) is intense! 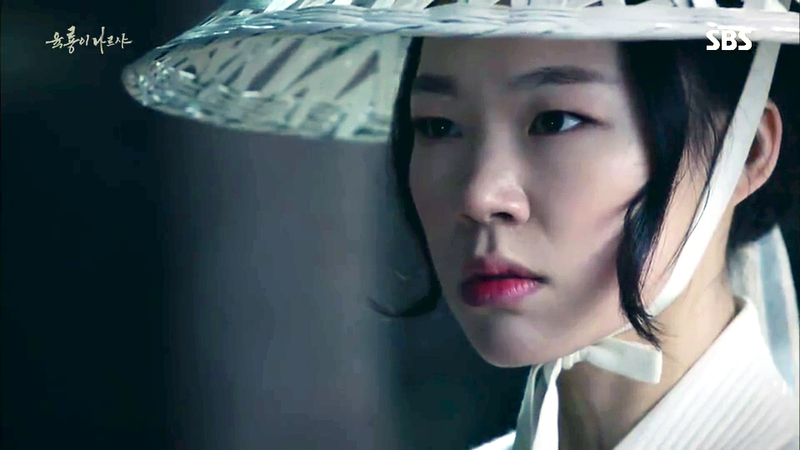 Cheok Sa Gwang’s family’s legendary swordsmanship technique makes her unbeatable in any way. But who knows that she gets exhausted pretty fast and she lacks experiences too. These two points, at the end, make her lose against Moo Hyul (played by Yoon Gyun Sang). Bang Won (played by Yoo Ah In) has now declared that he’s not on the same boat with Sambong (played by Kim Myung Min) anymore. 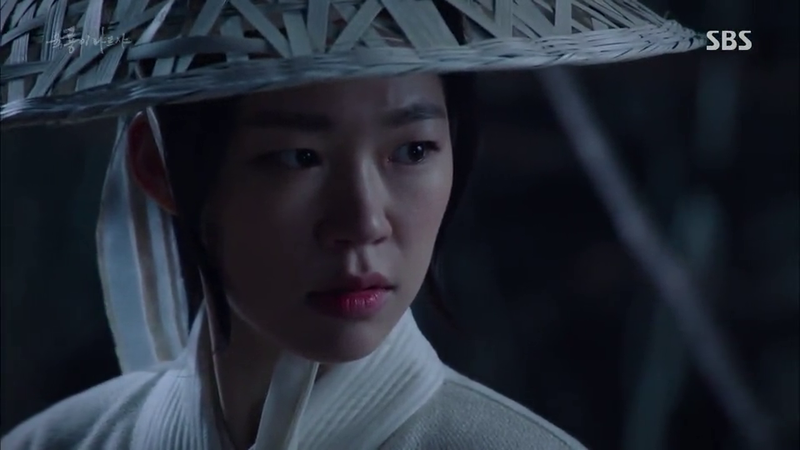 Po Eun (played by Kim Eui Sang)’s assassination is beautifully filmed and edited. 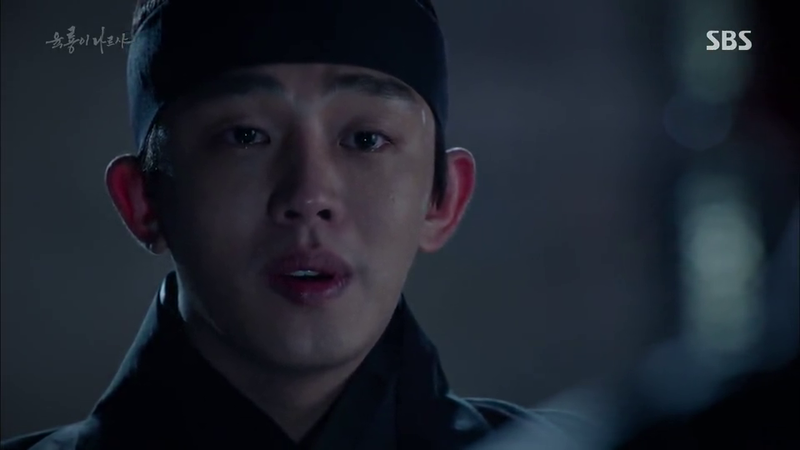 Yoo Ah In is damn good in acting. He looks scary in this scene. 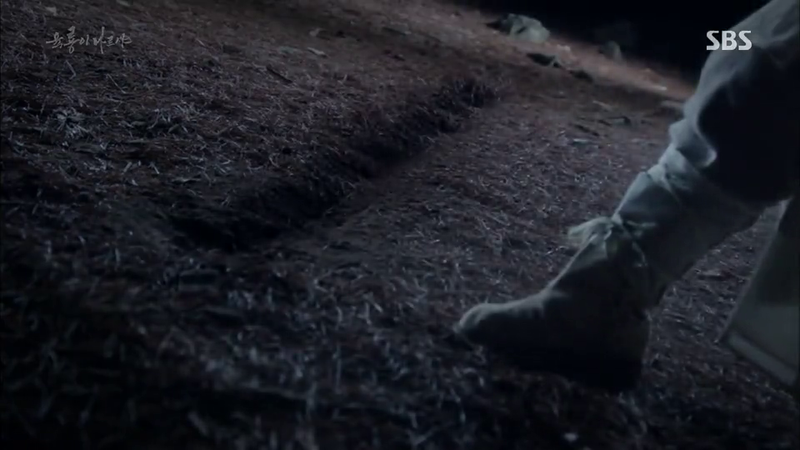 The scene may not be 100% in sync with the history but you get that main idea how Po Eun died. 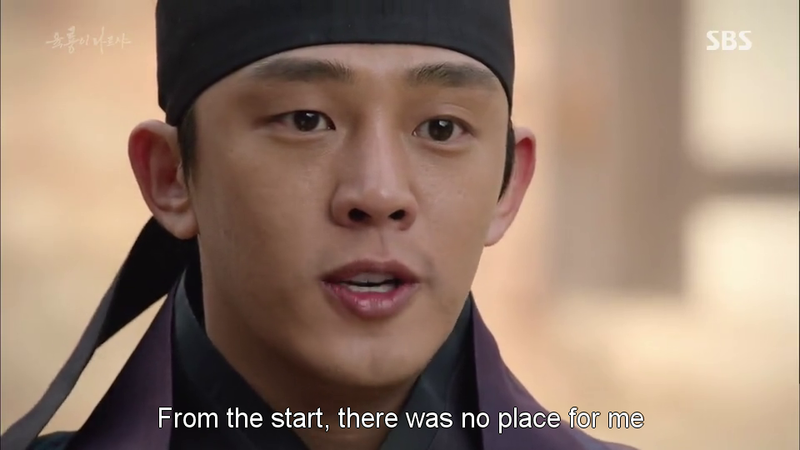 Young Gyoo (played by Min Sung Wook) in the history really killed Po Eun and it’s written in the history. Now let’s go back to Cheok Sa Gwang again. I just want to say that this character is almost perfect. Her Goksan method is unbeatable. Once again, the Goksan method is unbeatable, it has no weakness or flaw. Remember last week’s episode where she cut the palanquin in one stroke? Oh My Gosh. In ep 35 and 36 the editing team replay that scene and it still gives me gives me goosebumps. 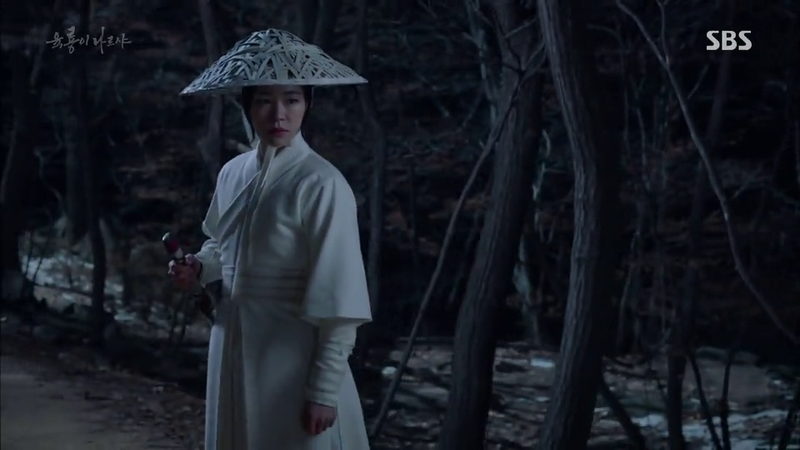 The Goksan method does not have any weakness the reason why Cheok Sa Gwang is defeated is because she lacks experience in fighting an intense fight with other swordsmen since she hates killing so much and hey because she’s capable of killing enemies in just mere seconds. She’s Cheok Sa Gwang after all. She also saves Moo Hyul and her life by using the landing technique when they fall from the cliff. If not, both of them are dead already. And after finding out that Cheok Sa Gwang is still alive Moo Hyul doesn’t kill her, that’s the right thing to do! 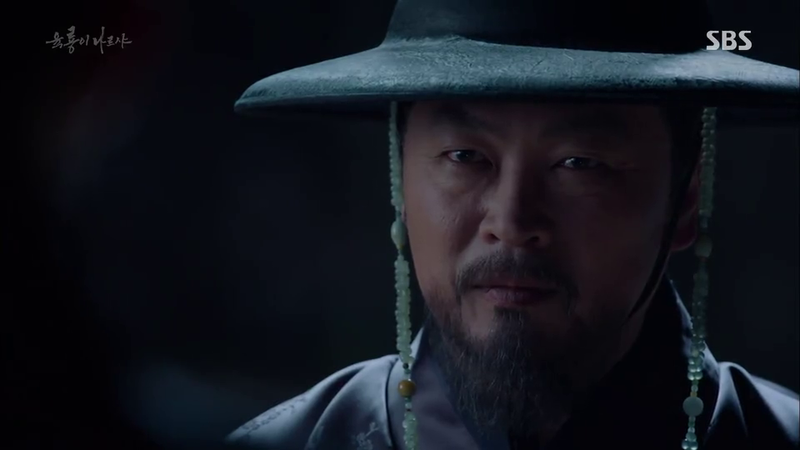 Moo Hyul hasn’t gotten his dragon title so I seriously think he needs to defeat Cheok Sa Gwang fair and square to earn his dragon title. Cheok Sa Gwang is -hands down- my favorite side character so far. Largely because of her family’s legendary swordsmanship method. Not going to lie, if I ever had a chance to learn any swordsmanship skills, I would choose Goksan method right away even though I know this is only made-up method. Even after falling from a cliff she’s still alive. She’s an all-around perfect character. She’s strong, she’s got the skills, she’s unbeatable and all. 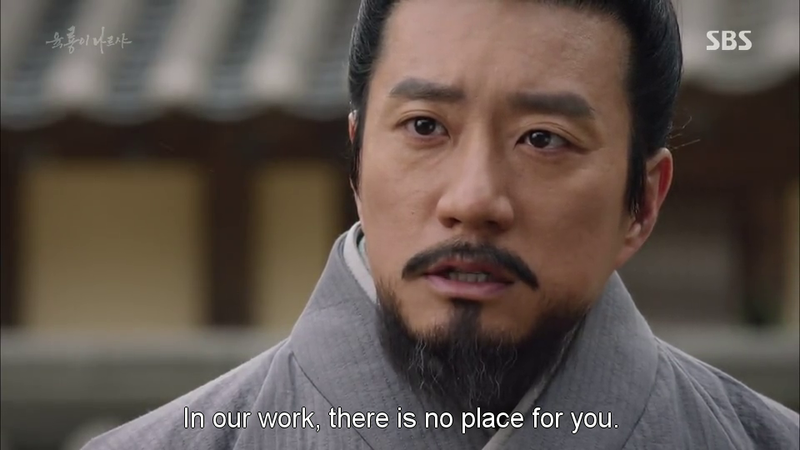 And remember she offers herself to kill Yi Seong Gye (played by Cheon Ho Jin) on last week’s episode. She’s loyal too. 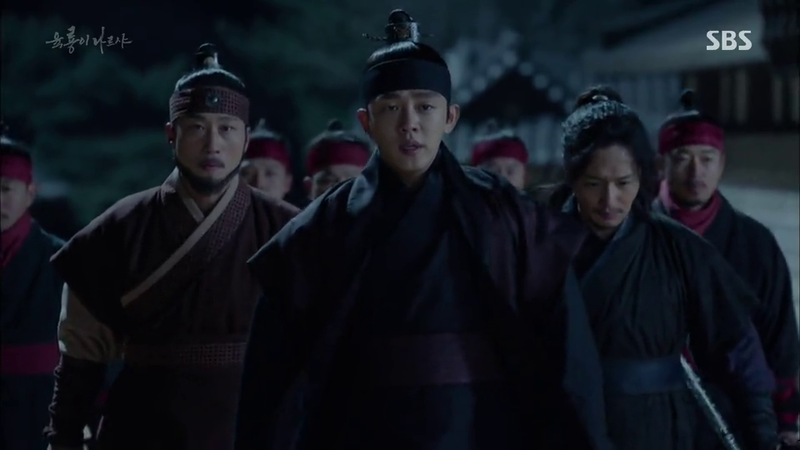 14 episodes left and we’re going to say good bye to Six Flying Dragons. Time flies so fast. It feels like it was only yesterday the pilot episode aired but not it’s been 4 months already. 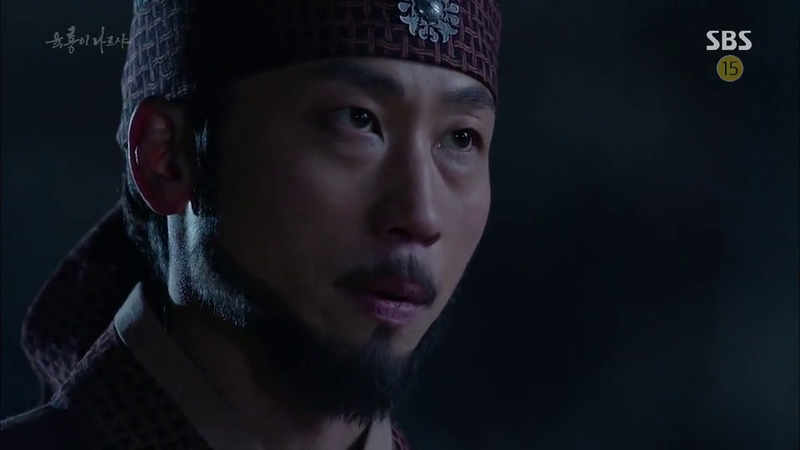 Only 7 weeks left for us to enjoy Six Flying Dragons to the fullest. This drama is seriously one of the most brilliant sageuk I’ve ever watched in my life and I don’t regret investing so much time for this. Monday, why are you so far away?? ?